Über mich I love technical analasys, always looking to improve the strategies. 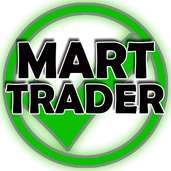 I trade with small positions to be able to handle EVERY TRADE I take. I am looking for low risk and high reward. Feel free to contact me and follow me on twitter!